Nowadays everything can be done through smartphones and there’s always “an app for that”. Such as it is, job hunting is not exempt from this: There are in fact tons of job search apps, which if used wisely can be a very convenient way to look for a new job anytime, anywhere. 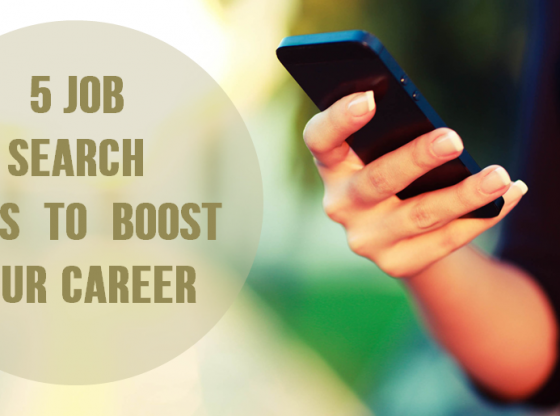 In this article, we have compiled the following list of the best 5 job search apps that will definitely boost your career. Are you unsatisfied with your current job and want to switch jobs without your boss or anyone in your office finding out about it? The Switch app can offer you the proper tools to manage that task, which arguably is no easy feat. Since Switch is a mobile-only app, this automatically eliminates the need to register first on their web page to have access to the app. 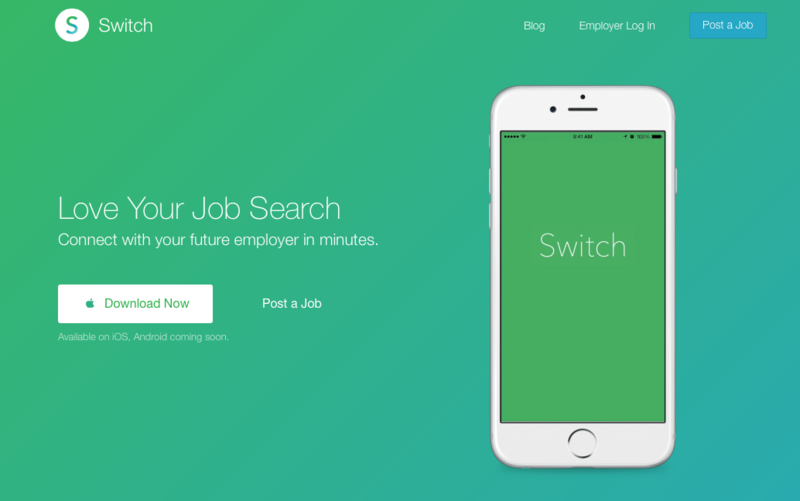 Much like the dating app Tinder, Switch’s job hunting dynamic involves a list of job prospects presented on a daily basis: If it seems like a potential job you might be interested in, just swipe right; if on the other hand, it doesn’t appeal to you, swipe left. Similarly, employers will go through the same process but with applicants. The key element of the app’s success resides in the fact that all applicants will remain anonymous until he or she matches with an employer, so hiring managers won’t have access to your professional profile at the earlier stages. 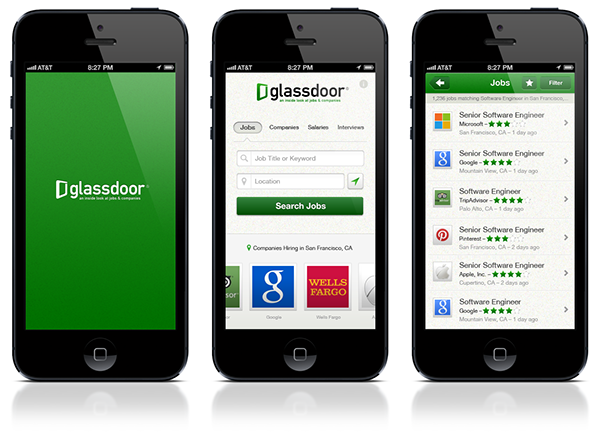 With a name that really does justice to both the original website and the app, Glassdoor is nothing but a window for people to look for everything they would be interested in about a company, namely: All of the job offers currently available, the salaries they are willing to offer, along with the benefits they provide. But the main feature of this useful app is definitely the insight into the comings and goings of a company via current and former employee’s comments and reviews on aspects such as company culture, working environment, etc. It is also worth noting, all reviews and comments posted in the comments section of the app are 100% anonymous but also undeletable once a comment has been submitted. Founded in 2004, Indeed boasts a user base of more than 100 million people, making it the most popular and effective job search apps in the web. Using its easy, straightforward interface, users can simply filter their job search based on aspects such as types of industries, location, and desired salary. Other features of the services offered by the app include the possibility to attach your resume to your mobile account so you can apply to jobs on the go, email alerts to notify you when a job offer that might interest you appears, etc. Monster.com is currently one of the largest online job search companies worldwide, very closely ranked to fellow companies Indeed and CareerBuilder. The mobile app offers useful features like smart filters to provide a list of job offers that can adequate to your preferences and needs, access your resume and cover letters information as well as the status of previously submitted job applications, email notifications to keep you posted on potential job positions, and so on. 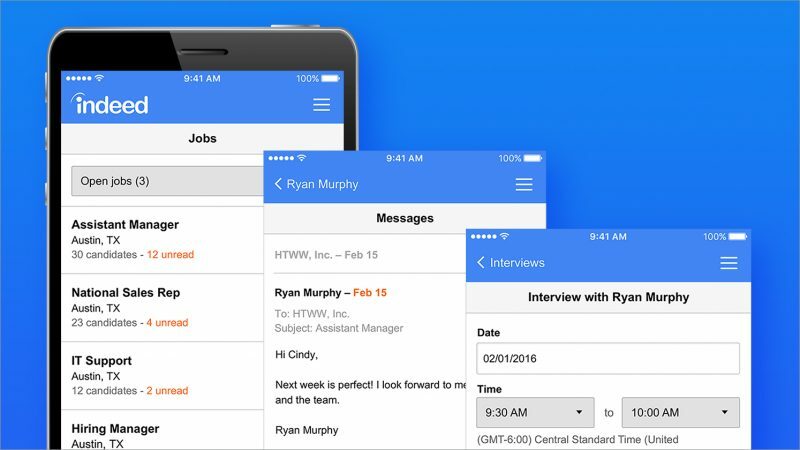 Being one of the most successful job-hunting apps, Monster promises all users they can get interviews faster than any other app, and for this reason, they also store your correspondence with potential employers inside the app so you can keep talking with them anywhere you are and on-the-go. 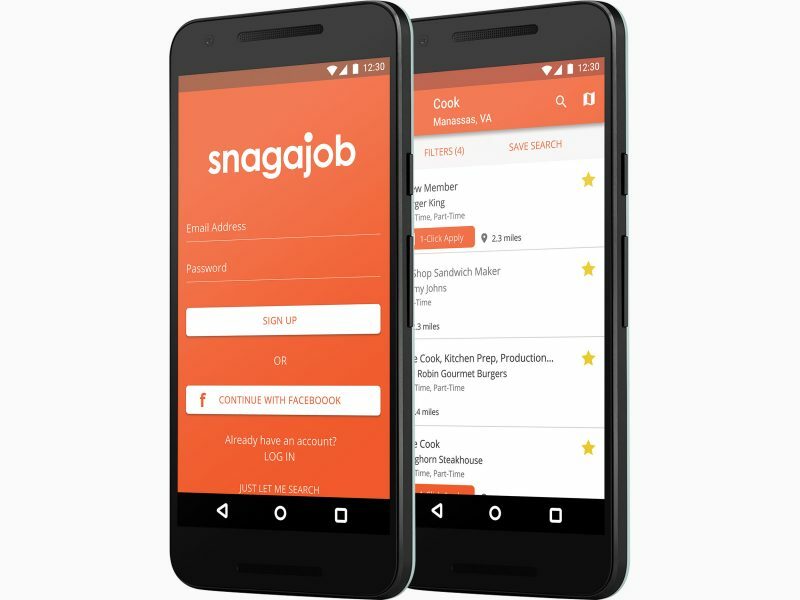 Snagajob is an ideal app for people in search of hourly employment such as cashiers, waiters or waitresses, security guard, delivery driver, restaurant greeter, and so on. Similarly to any other job search app, Snagajob offers you daily updates on job offers that you can choose to be sent directly to your phone or table; and because the app focuses on hourly jobs, you can filter positions by schedule (part-time, full-time, seasonal or summer) according to your availability. Users can, in addition, attach a personality quiz to their resumes, or even a video of themselves to stand out from other applicants. Another very convenient feature of Snagajob is that it provides a map with the exact location of any future job you may choose. 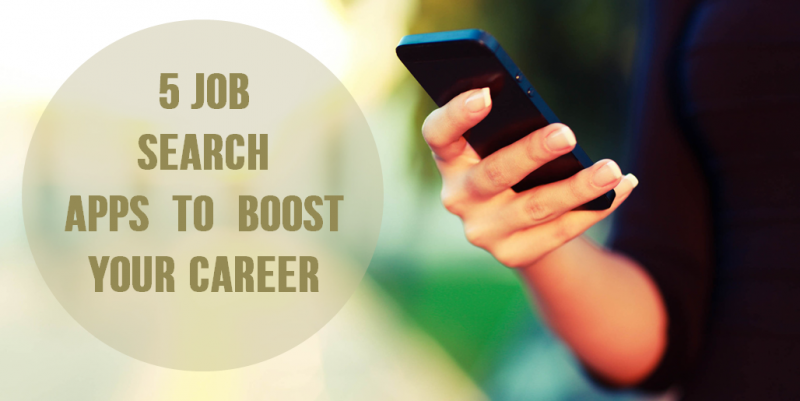 Have you used any of these job search apps? If so please let us know your thoughts in the comments box below!